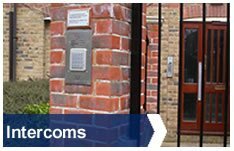 We offer a comprehensive range of Intercom system solutions of which we can supply, install and support. Depending on the application, we can offer either an Intercom, a keypad or both integrated as a single unit and part of an access control solution from our partners. We are renown for our expertise and are pleased to offer a free site survey whereupon our consultants will be able to advise you of which intercom solution would be best suited to your application. How can we help? If you are considering buying or replacing an intercom system, please get in touch and tell us your requirements or what it is that you wish to achieve. We would relish the opportunity to assist you and carry out a free site survey.